Secure and scalable storage and hosting with the most complete file management API tools for rapid integration or automation. For as low as $0.06 a Gigabyte. 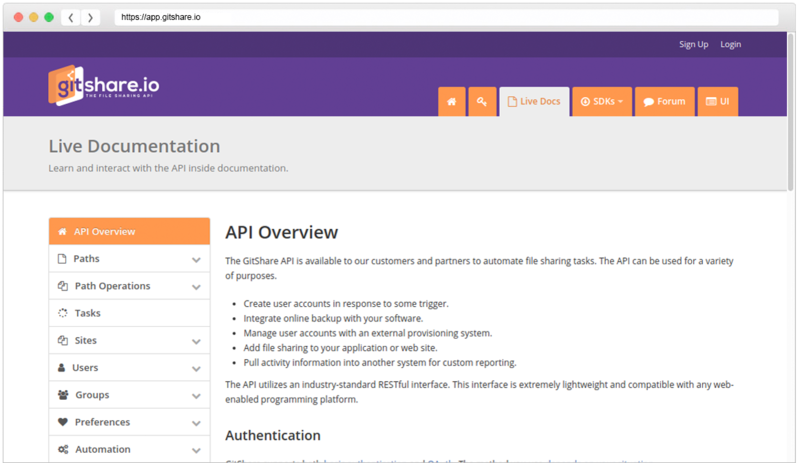 Gitshare.io is a set of file management API tools that you can use for a number of projects. Here are four quick reasons that Gitshare.io can help you write less code and worry less about security, all while using the best file sharing API. The most file sharing API endpoints, 38 and counting. 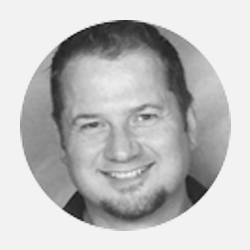 Everything from path creation to more complex functions, user management, and activity monitoring. Develop faster with our file toolset! Add file permissions, folder access, indexed search, user authorization, and much more to your files and folders from anywhere on the web. With no code to support and built-in file security, you can spend less time worrying and more time creating. 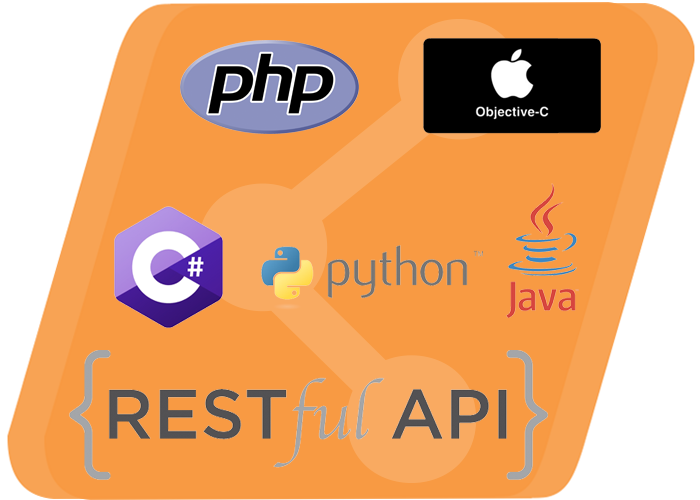 Integrate with ease with our RESTful API. Convert one file format to another. Persistent and ephemeral modes of operations give you two options for converting certain file types to others. View activities for your site. Keep track of users, groups, files and folders. A large array of activities can be tracked and reported. Create and manage public or private links to your files and folders. Set expiration dates, limit usage and assign access permissions to your links. Create and manage users on the fly. Assign custom roles with specific rights for different users. Create and manage groups of users. These groups share access permissions and preferences for increased efficiency. Search for paths matching criteria within a given scope (path). Keyword queries search both path names and file contents. Min/max size and date to allow range queries that can help find paths of a particular size or age. How can you start using GitShare.io right now? We've laid out a few common use case scenarios that might serve as inspiration to use us for your next project. Our file management toolset allows you to not only easily interact with files, but also manage users as well. "With a few lines of code I no longer have to manage code, infrastructure or security for our images." Your issue is our main priority. Our 24/7 support team is here to make sure we answer all of your questions. Have a presale question about our products and features? We would love to hear what your development question is. 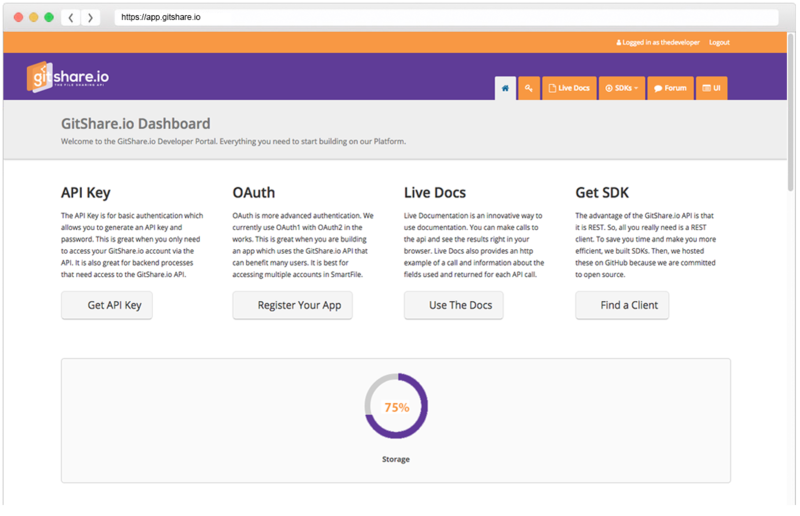 Over 8000 Developers Use Our Platform! Get started developing the next Twitter, or integrating into your existing application. We make it easy to get started and there is no credit card required. Copyright © 2018 LUMANOX, LLC.